﻿ Hostal Delfos, Barcelona | FROM $30 - SAVE ON AGODA! Have a question for Hostal Delfos? "I will highly recommend it and come back!" "Thanks guys for a brilliant stay." "The place was amazing for the price!!" Offering quality accommodations in the sightseeing, restaurants, shopping district of Barcelona, Hostal Delfos is a popular pick for both business and leisure travelers. The city center is merely 0.0 Km away and the airport can be reached within 15 minutes. Visitors to the hotel can take pleasure in touring the city's top attractions: Mailuna, Uber den Wolken, Centre de Cultura Contemporània de Barcelona. 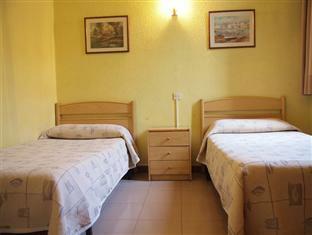 The facilities and services provided by Hostal Delfos ensure a pleasant stay for guests. This hotel offers numerous on-site facilities to satisfy even the most discerning guest. 12 rooms spread over 2 floors provide a warm and pleasant home away from home. Modern comforts such as internet access – wireless (complimentary), air conditioning, heating, wake-up service, desk can be found in selected rooms. Besides, the hotel's host of recreational offerings ensures you have plenty to do during your stay. Discover an engaging blend of professional service and a wide array of features at Hostal Delfos. "The staff were brilliant, honest so helpful and just really..."
Please note that the hostal does not have a 24 hours reception. Please contact the hostal prior of arrival time. Location is perfect but of course with that feature also some negatives come with. We have stayed in the 1st floor 2 nights. During our stay I could barely sleep. Noises from the inside of the building made by staff and from the street are unbearable. But other than this, it was very clean and warm. If you don’t care about noise than it’s a very good choice. The building is old but cleaned well. Good value for money. Excellent location, couldn't be better in my 30 day Europe Trip. I took an ensuite room. Wifi could not be detected in my room. Receptionist was very polite. Mattress had sunk a little and can be painful at some spots. Otherwise, it was amazing! This property is really location location. You come out of Universatat station and it's right there, and I mean right there. My room was small, but hey most are in expensive cities, but it was so quiet for the location. The staff were brilliant, honest so helpful and just really nice. Clean ++. Great Wi-Fi. Look there is not one negative thing to say about this property. Thanks guys for a brilliant stay. The place was amazing for the price!! Very close to everything you need to move around. Staff so nice, very clean, even the bathroom we have to share was always neat! I will highly recommend it and come back! The location is very good. Hostel is above the underground. The hostel was cheap and this is its best advantage. The furnishings was very standard. The bathroom was outside the room, but there wasn't any queue. The staff was very nice but not everybody speak English. Only bad things bathroom was shared. Others is perfect for this price. The staff isn’t helpful, shower is broken, not so clean room, can find a better place for the same price. The only good thing is the location. It is near the metro station. very easy to find and to move around the city. Great location, staff, wifi, bed. Small kitchen area to prep some food & have a cup of tea. No stove. Only microwave oven. Had a private room with air, bed, and sink. The cleanest hostel I’ve ever seen. Included turn-down service somehow, and my room had a private balcony. Will stay here again. immediately next to universitad metro station and close to aerobus stop. 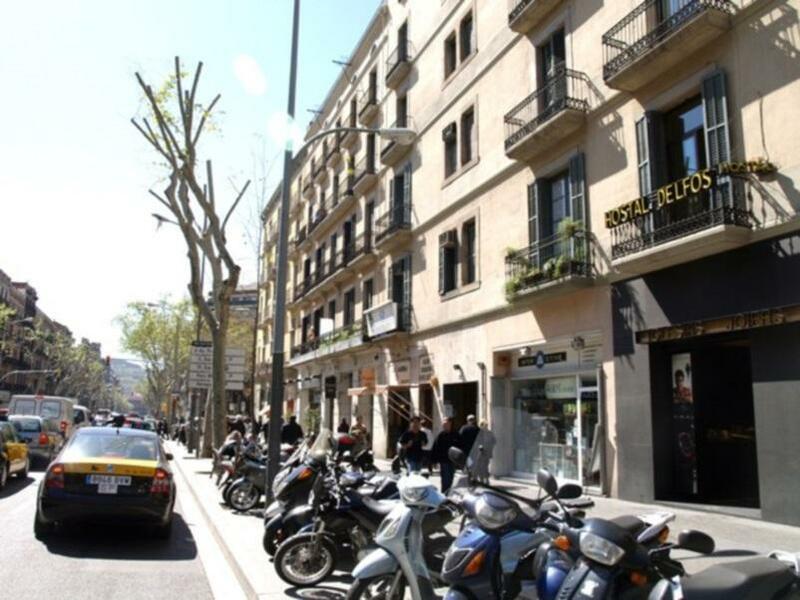 close to bars/clubs in the university area and short walk to plaza catalunya. direct metro to sagrada familia. we stayed in the twin room with shared bathroom. the room was basic, had a sink which was convenient. it was an unusually cold weekend and the heater was not strong enough. there were enough blankets though. the bathroom was ok, clean and fit for purpose. the wifi was ok too. the receptionist is only available during the day and early evening. he was friendly and helpful, though the check in process was rather prehistoric and could be swifter. he did not realise that bookings through agoda were pre-paid and he had to ask someone else, so it was a bit frustrating, especially when the agoda voucher did not explicitly say that payment was made already so it was hard for me to prove it. In Barcerona,the prices of hotel are not so reasonable. This may be good for alone or easy traveller. The room is small with small window,shared shower with wc was clean same floor. The elevater is used by also the residents. You can open the door with buzzer or key. The name plate is very small and you must find it by address number. It is in the westside of San Antonio street. service with a smile and very kind. the room is small but clean, and cozy. The shared bathroom is very good, clean, with bathtub and nice. it looks like 4-5 star hotel bathroom. They also have a elevator.